and the Holy Spirit, save us. Flavius Petrus Sabbatius Iustinianus, known a Justianian the Great is regarded as a saint in the Orthodox churches and some Lutheran churches. He came from a simple family and was adopted by Justin 1 (a imperial guardsman) who became Emperor. In his early years he served in the imperial guard. 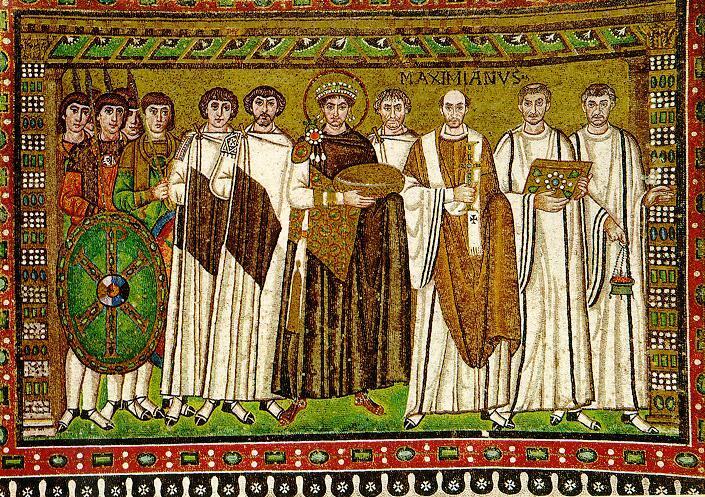 As a warrior Emperor he directed campaigns which recovered large portions of the Empire to include Rome, and established Ravenna as the capital in the West. He directed the rewriting of the civil code, which forms the basis of law in many countries of the world today. Finally, he brought the Byzantine Empire to a state of glory previously unknown. In areas of faith, he suppressed pagans and heretics, built the great churches like Holy Wisdom, the center of Orthodoxy, and exemplified the Christian ruler.